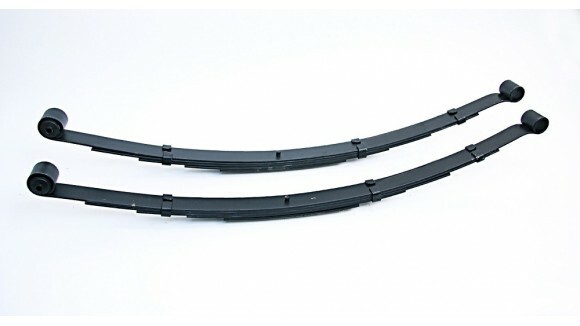 Leaf Springs There are no products in this category. Off-Road car parts, interior accesories, exterior accesories, bumper, bull bar. side bars, side steps, grille, hoods, snorkels, winch, steel wheel, alloy wheel, drive system, lift kit, steering stabilizers, hydro shock, nitro shock, air bumpstops, coil springs, leaf springs, sway bars, control arms, brake lines, trackbars, lighting, doors, mirrors, soft tops, racks, tents, chassis, differetial covers, stylization, towing, driveshafts, panhard rods, pitman arms, and many, many more.